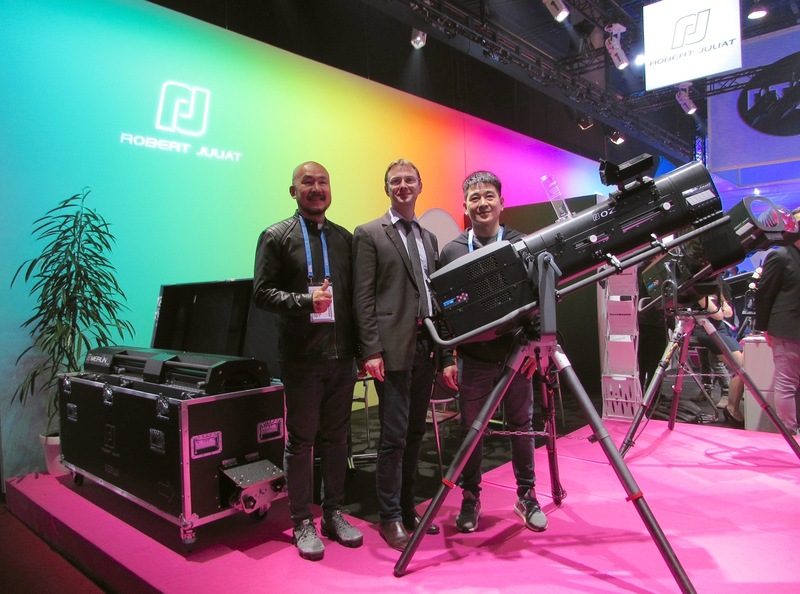 MediaVision of Thailand has invested in a pair of Robert Juliat Merlin followspots, supplied by RJ’s exclusive distributor for the region, Total Solution Marketing Pte Ltd, as a valuable addition to its rental inventory. MediaVision provides high quality equipment and services for live music, K-Pop, EDM and both local and international concerts, as well as corporate events and conferences, and prides itself on setting new standards by investing in state-of-the-art tools, backed by knowledge and a commitment to its clients. When the company decided to invest in some new followspots, Robert Juliat’s Merlin 2500W HMI touring followspot was to provide the perfect solution. Merlin’s powerful output and 3°-12° zoom range makes it wonderfully suited for venues of all sizes – an invaluable quality for rental houses which supply many types of event – and its rugged construction allows it to cope with high levels of use and transportation between venues. “We chose the Merlin after Total Solution brought it to our attention in late 2016. We needed a followspot that was reliable and versatile enough to adapt to the many demands of a rental company,” says MediaVision’s Joe Thanaruch. “Robert Juliat’s reliability and build-quality is well-known, and Merlin turned out to be surprisingly light-weight for a followspot of its size. We were also happy that it proved easy to use with no complications. But the real selling point for us was Merlin’s internal power supply which makes it so easy to transport and set up at every event and venue. Finally, we have always trusted Total Solution’s after-sales service and reliable support for many years which made our purchasing decision very easy.